My maternal grandmother Edith LeFrancois’s former house sits in a cul-de-sac just off the State College Boulevard corridor, which connects Angel Stadium with Cal State Fullerton. 310 N. Olympia Place — a three-bedroom, beige-stucco split-level built in 1957 — was a very hard-earned piece of the California dream when she bought it for $18,900 in 1963. Owning the house confirmed her as a member of the state’s then-ascendant middle class. I visited the home recently for two reasons. The first was a quest to understand California housing by visiting six different houses that had deep meaning to members of my large extended California family. 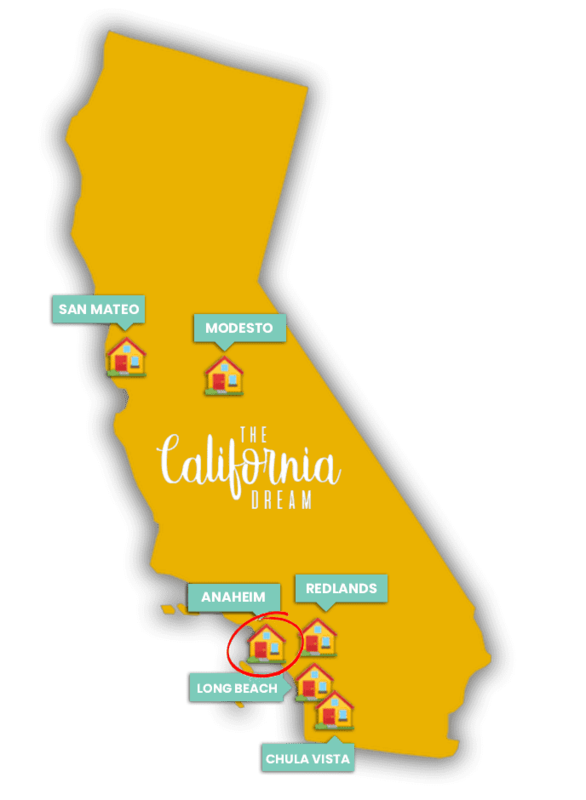 Californians have long defined their dreams through their houses, but are we wise to do that? Behind today’s housing crisis over the cost of living and our failure to build enough new homes lies a more essential problem: the aging and decay of the houses and apartments where we live right now. Older houses require more from us — more maintenance and more money — even as our incomes stagnate and we get older. On my housing journey, I found myself asking: Do we still own our houses and the dreams they embody? The second reason for my visit was to answer a more specific question: Was Grandma Edith’s house still able to nourish middle-class dreams? Edith had come to California from Oklahoma in her teens, and found work on the assembly lines of Greater L.A.’s military-industrial complex (notably at North American Aviation in El Segundo), while living with my grandfather, mom, and uncle in nearby Hawthorne. But when aerospace moved into Orange County, she moved with it — and worked on the electronics of the space shuttles, for Rockwell. 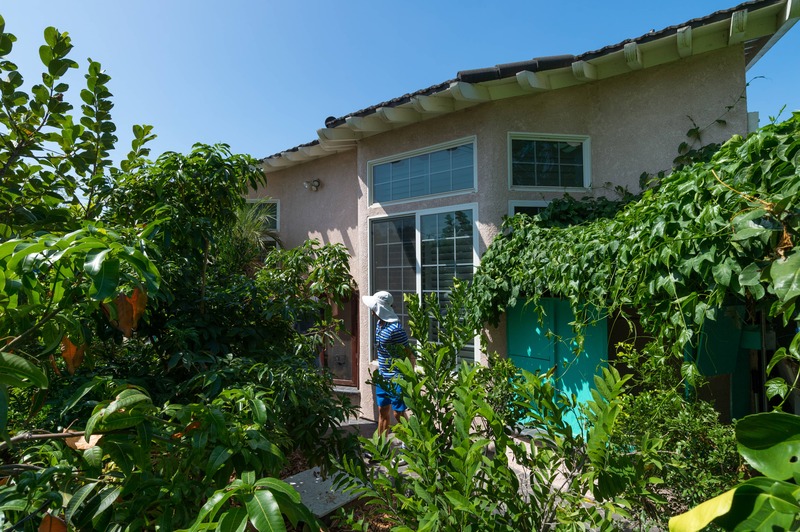 After she bought the Anaheim house, she created exquisite floral gardens and made one major addition: enclosing a rear porch and turning it into a rec room. The walls were dedicated to photos of the shuttle and its astronauts, to whom she was devoted. She wasn’t as lucky with husbands. She divorced my grandfather and a third husband while living in the Anaheim house. 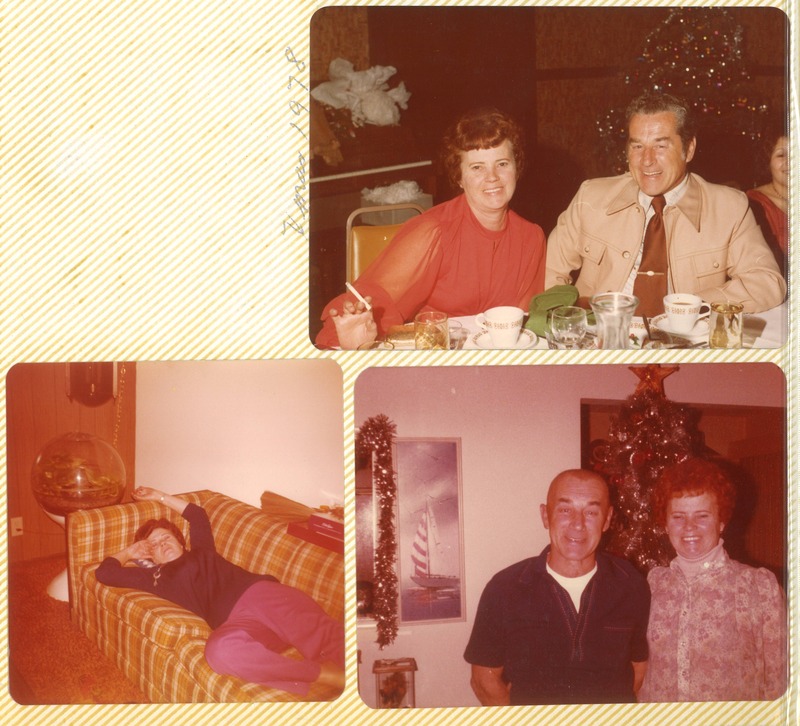 Her beloved second husband, Jerry, an auto mechanic who would take me to my first baseball games, would die of brain cancer in 1980, just seven years into their marriage. I visited the house often, especially around the holidays; on Christmas Eve, we would stay with her and often go to Disneyland. My brother and I played baseball on the cul-de-sac with neighborhood kids. A smoker, Edith died of lung and brain cancer in 1991 at age 65. The house was sold by our family for $210,000 in 1992, and changed hands a few more times before going into foreclosure in the Great Recession. But the cul-de-sac did not collapse. It maintained its middle-class feel through two forces: inheritance and immigration. Some of the kids with whom I had played while visiting my grandmother moved into their parents’ homes, and have kept the place very much as it was. And in 2011, when 310 N. Olympia Place was put up for auction at a local hotel, the house had the good fortune to be purchased for $296,000 by a dentist named Quan Pham. After the war’s end, he had escaped from his native Vietnam by boat, landing in a refugee camp in Indonesia, and first immigrating to Australia and then to California, where he did his dental training. For many years, he practiced in Orange County, but could not afford to buy a home there. So he commuted each week from his residence in Las Vegas. And he relentlessly saved until the Great Recession created housing opportunity in Anaheim. Dr. Pham, 58 told me he bought the house because of my grandmother’s old rec room, which a previous owner had expanded, by making it a bigger open place, two stories high. That owner had put up hockey trophies. Dr. Pham, recently retired, is a very active man — he plays every sport and also kite surfs, and says he might expand the giant room to accommodate indoor badminton. But his greatest magic lies in the garden. In the seven years that he has owned the house, he has transformed both the front and backyards into a glorious jungle of plant and animal life. His outdoor space, on a 7,980-square-foot lot, is so elaborate that it took him nearly two hours to give me a tour. First, we saw chickens (he prefers Malaysian chickens, who walk more upright) and other birds in the back, and the orchids he’s raising in a makeshift greenhouse in some side space. Then he took me through his dozens of exotic, tropical trees, bearing fruits better known in Latin America and Southeast Asia. There are multiple kinds of mangos, mandarins, pears, and apples. He has pomegranate trees, and he’s especially proud of his sapodilla trees; he picked the Morena sapodilla fruit and cut it up for me; it tasted like a brown-sugar covered pear. Out front, he is growing watermelon and the sweetest little tomatoes I’ve ever tasted. He even raises sugar cane along the short driveway, so he can open it up and eat the sugar directly, like he did as a Vietnamese child. “Each variety of fruit is a different taste,” he said. Joe Mathews writes the Connecting California column for Zócalo Public Square. This is an excerpt from a longer essay.